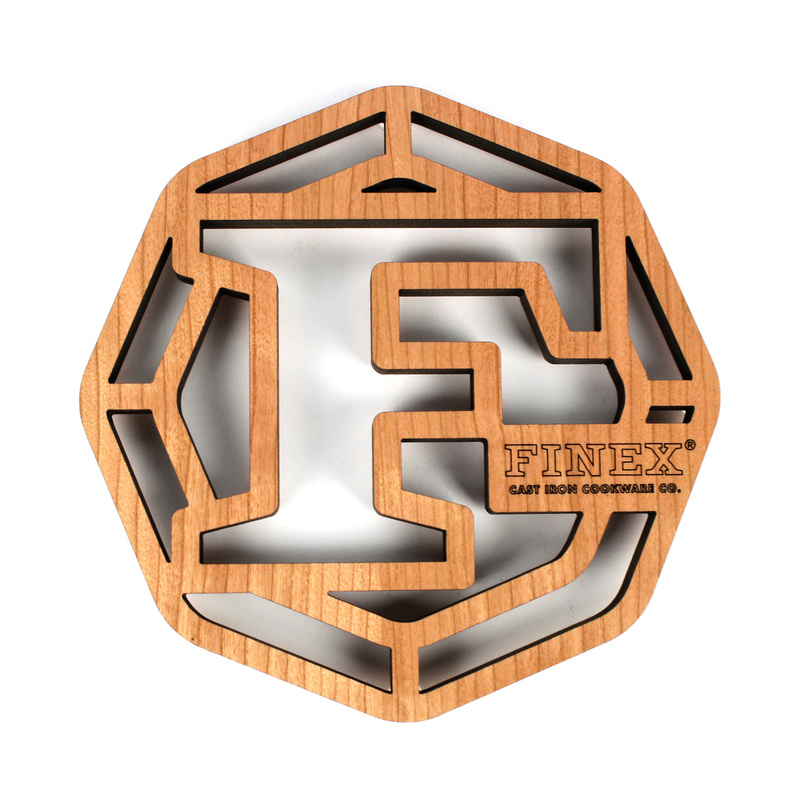 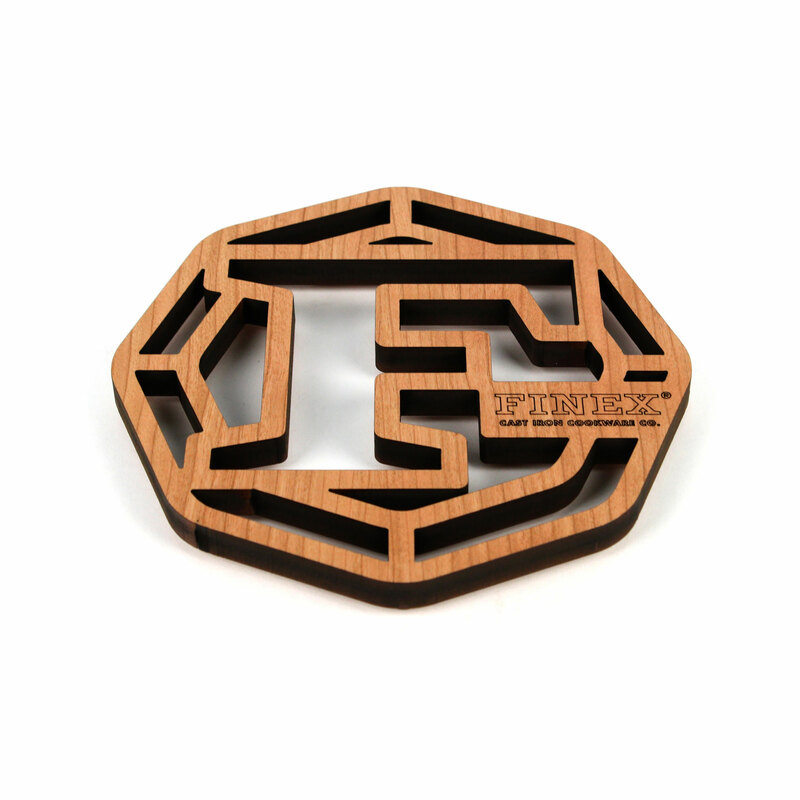 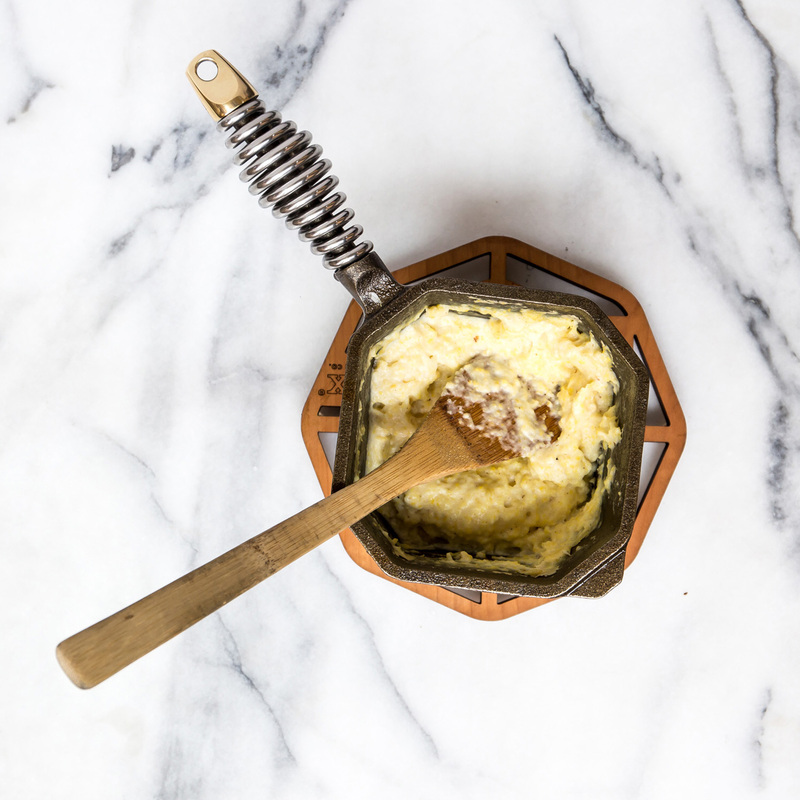 This Finex Wood Trivet is designed to protect tables and counters while look good doing it. 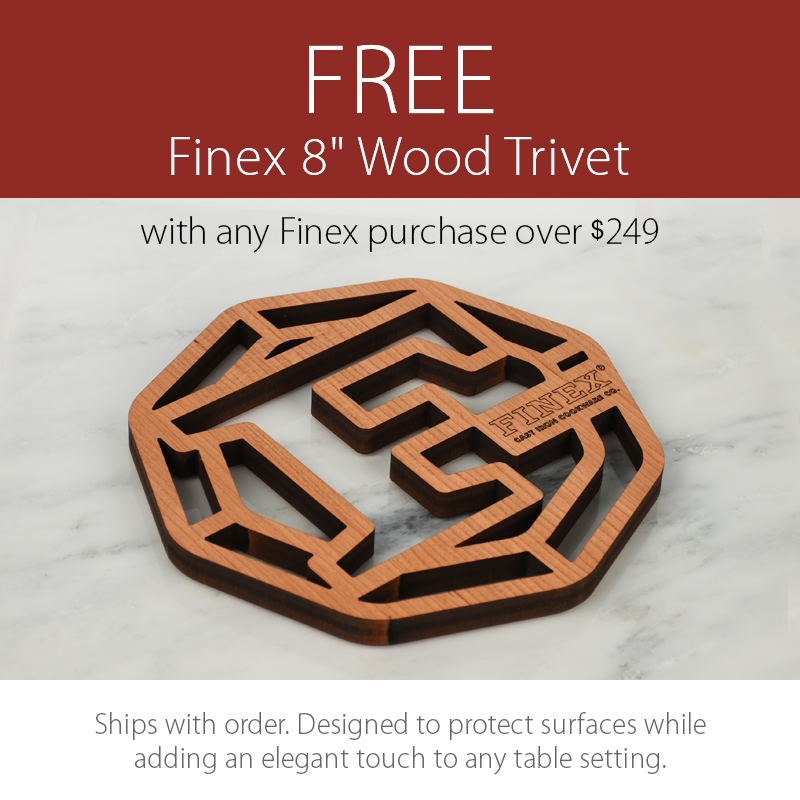 The decorative and functional Finex laser cut cherry wood trivet protects fine wood tabletops and kitchen countertops from heat, scorching and potential scratches. 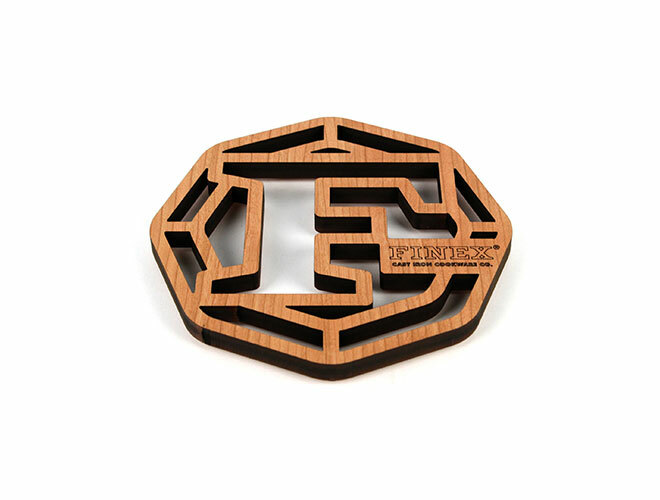 Precision cut with carefully dip-stained edges and non-slip silicone feet. 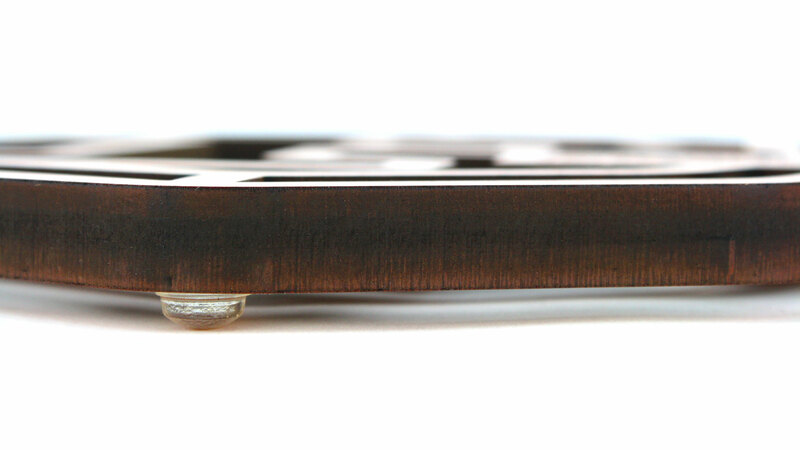 Crafted in America.